Valve, creators of best-selling game franchises (such as Counter-Strike, Half-Life, Left 4 Dead, Portal, and Team Fortress) and leading technologies (such as Steam and Source), today announced Counter-Strike: Global Offensive (CS: GO) is targeted for release on August 21, 2012. To be available via the Playstation Network, Xbox Live Arcade, and Steam (for PC and Mac), CS: GO will expand upon the team-based action gameplay pioneered when Counter-Strike was launched almost 13 years ago (CS beta 1, August 1999). CS: GO will be sold for approximately $15 on all platforms. CS: GO features new maps, characters, and weapons and delivers updated versions of the classic CS content (de_dust, etc.). 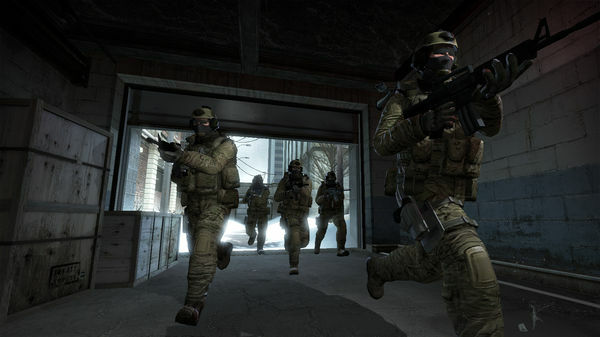 In addition, CS: GO introduces new gameplay modes, matchmaking, leader boards, and more. Developed by Valve in cooperation with Seattle-based Hidden Path Entertainment, the title will be playable in the Sony and Microsoft booths this week at E3 in Los Angeles, CA. how i am game load on my computer n plz tell me some server are required password how it work means how am i password need to server required my english is weak plz i hope u understand thnx..
Who cares about more players? This game is awesome. Don't think CS;Go will be more playable than cs 1.6, but im sure it will have more players than source, also im happy to hear that they will make a real price for this game.